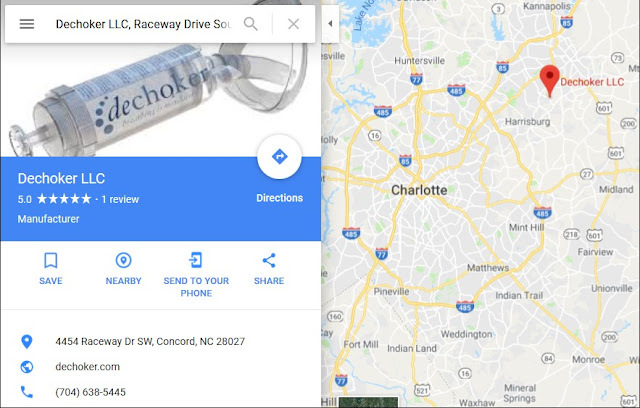 UPDATE 3/13/14: Last night via Anti-choking device business raided, accused of investment scheme, investigative reporter Matthew Grant at FOX46 in Charlotte, NC, picked up my scoop and moved it forward, My 3/10/18 item is below the video. In the course of researching my dad's bizarre career and his namesake anti-choking maneuver, I've occasionally reported about anti-choking devices that have been marketed over the years, for example, the Heimlich Helper, the LifeVac, and the Dechoker. Click the links and you'll see that I've reported mostly about the LifeVac because, based on casual observation, that device has been more aggressively promoted via press releases, media reports, and social media. More promo materials means more for me (or anyone else) to report. Two unrelated legal cases -- one in North Carolina, the other in Louisville, Kentucky -- involving the company marketing the Dechoker appear likely to provide me with more reporting opportunities. The date of the temporary cease and desist order was February 15, 2018. 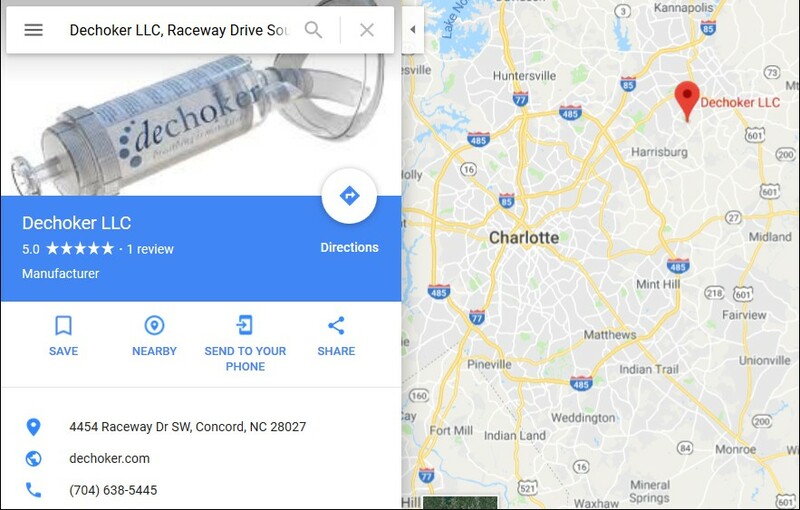 To my knowledge unreported until now, according to a search warrant issued by the Superior Court of Wake County, that same day agents of the North Carolina Secretary of State's Securities Division seized computers and files from the offices of Dechoker LLC located at 4454 Raceway Drive in Concord. Here's the 36-page search warrant with supporting records -- click here to download a copy. 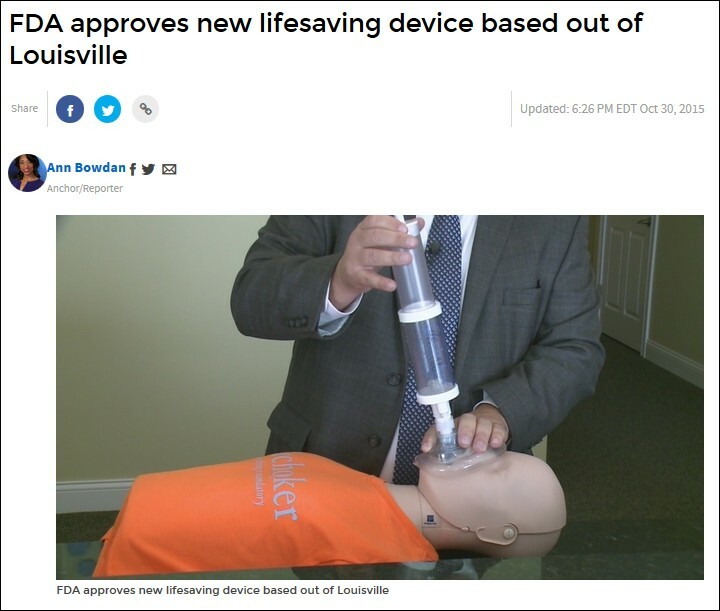 (Recently), the Food and Drug Administration approved a new device being touted as an alternative method to the Heimlich [for responding to a choking emergency]. ..."Obviously there's a health care hub here and the city of Louisville has been absolutely wonderful to work with open arms," Kellogg said. ...But there are some skeptics. Peter Heimlich, the son of Henry Heimlich, who created the Heimlich maneuver, questions the validity of the FDA’s approval of the device. He believes more published research is needed. I'll ask the FDA and report the results. To my knowledge unreported until now, a year after the WLKY report aired, Christopher Kellogg filed a lawsuit against Dechoker LLC in Jefferson County, Kentucky, Circuit Court claiming breach of contract, unpaid salary, and other allegations. Here's the October 26, 2016 complaint and December 21, 2016 response. Click here to download copies.